Nine companies of Guastatori were formed in 1940 and underwent extensive specialist training at the newly formed Guastatori school. The first four of these completed their course in September 1940 and initially operated independently in Northern Italy and as part of operations in Yugoslavia in April 1941. On April 18, 1941 they were organised into the XXXI (31st) Battalion of Guastatori. The Battalion (approximately 1300 men) remained in Yugoslavia until returning to Turin in August. On September 16 they board the ship “Vulcania” in Taranto and arrived in Tripoli, Libya two days later. In the meantime the second intake of Guastatori finished their training in November 1940 and the 3rd "Folgore" and 4th "Uragano" companies were sent to Tripoli arriving in January 1941. There they are formed into the XXXII (32nd) Battalion of Guastatori under the command of Capitano G. Cappuccio. 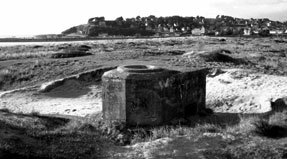 Initially they were used along side normal Engineer units preparing fortifications while the front remained quiet. 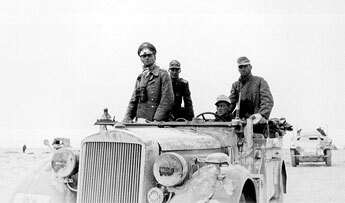 In March 1941 General Rommel commanding the newly arrived German Afrika Corps decided to attack the British 8th Army at Tobruk. On April 12 the Italian 27th Brescia Division and the German 5th Light Division attack the defences at Tobruk, but strong defence and a vigorous counter-attacks by British and Australian forces forced Rommel to bring in reinforcements. The XXXII (32nd) Battalion of Guastatori is brought into the front line. 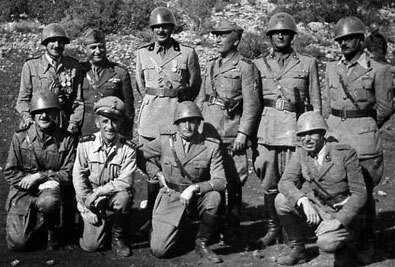 The 3rd "Folgore" company was attached to the Ariete Armoured division’s 8th Bersaglieri Regiment and the 4th "Uragano" company was attached to the Brescia Division. A ring of concrete fortifications and minefields protected Tobruk, but this was just the very thing the Guastatori were trained to deal with. 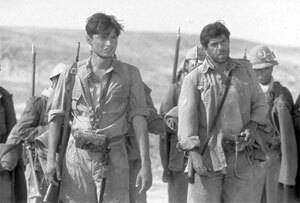 On the night of April 30/May 1 the Guastatori of the XXXII Battalion lead an attack on Tobruk with the 8th Bersaglieri Regiment and a German battalion. 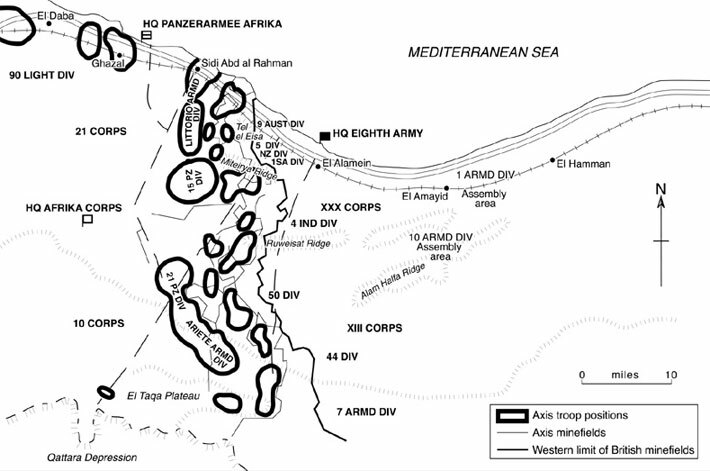 The 3rd "Folgore" attacked the Ras el Medauar heights overlooking Tobruk. They endured waves of machine-gun fire to cross open ground to clear wire and other obstacles, and take fortified bunkers and blockhouses with explosives, grenades flame-throwers, and flush out the last of the defenders at bayonet point. The Australians retaliated with heavy artillery fire followed by a swift counter-attack. For three days the battle around the 3rd "Folgore" Guastatori and 8th Bersaglieri swings backwards and forwards. During an Australian counter-attack on the night of May 3/4 Tenente Tuci, commander of the 3rd "Folgore" Guastatori company, was killed during the defence and was awarded the “medaglia d’Argento” (Silver Medal). 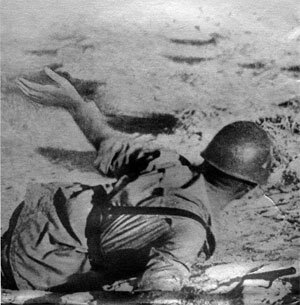 The fighting for Tobruk continued and on May 16 the Guastatori of the 3rd "Folgore" were back in action assaulting the defences along side an assault force from the Brescia division. With great skill and speed the Guastatori open three lanes in the mines and obstacles to let the Brescia Fucilieri through. Side by side with the Brescia assault troops they inflict heavy loses on the enemy and take out further strong points with explosives and flamethrowers. During the action Guastatori Emilio Caizzio, despite injuries, knocks out a blockhouse. He seizes an already ignited explosive from a wounded comrade and rushes the stronghold killing himself and the enemy troops in one single heroic act. He was awarded, posthumously, the Medaglia d’Oro al Valor Militare (Gold Medal for Military Valour). The XXXII Battalion withdrawn from the front line for reorganising and replacements. Despite reinforcements from Italy each company was reduced down to two platoons per company rather than their original four. The Battalion was soon brought up to strength with the addition of men from the depot of the 5th Engineer Regiment. On August 27 a new attempt on Tobruk was launched. The XXXII Guastatori Battalion was attached to the XXI Corpo d’Armata and fought along side the Bologna Division. The Guastatori were tasked with the conquest of Point 146 on the Marsa el Zeitum. They took the hill with great skill and then settled into fortifying and defending it from British attacks for 12 consecutive days. 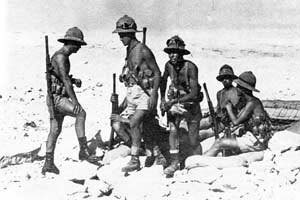 On October 14 the XXXII Battalion was withdrawn from the Tobruk sector for rest. On arriving in Tripoli the 2nd "Lupo" and 7th "Tigre" Companies were attached to the Bologna Division south-east of Tobruk and move to their positions on November 18. The 1st "Giaguaro" and 8th "Leone" Companies were assigned to the Pavia Division. 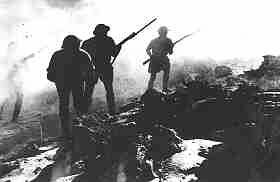 The following day the British launched Operation Crusader and the Guastatori of the XXXI Battalion were in action. Despite the British hopes of easy victory over Italian troops, the Guastatori hold and defend well against the massed British tanks. Guastatori, fighting alongside artillerymen, soon put their training and weapons to good use. Their satchel charges, usually reserved for bunkers and blockhouses, find a new use against tanks. The Guastatori of the 7th "Tigre" Company improvised bombs made from wooden boxes filled with explosives with a long fuse that could be detonated from a distance. They used these to immobilise several British tanks. The battle rages on into November 28 and the Bologna Division became overwhelmed. The 2nd "Lupo" and 7th "Tigre" Guastatori find themselves isolated and under enemy pressure. Under the command of Maggiore Caprini they retire to Bu Hamud where they are organised on two defensive strong points. Attached to this battlegroup are elements of the 39th and 40th Fucilieri Regiments and the 7th Bersaglieri Regiment. A day later they are joined by the 1st "Giaguaro" and 8th "Leone" Guastatori Companies. With that the XXXI Battalion is re-united again. On December 18 the order is given to withdraw the whole Axis army and the XXXI Battalion was issued some trucks for this purpose, though they didn’t have enough and they had to be moved in two trips. While the first half of the battalion is being moved a patrol of British Armoured Cars surrounds the Guastatori left behind and despite resistance they are taken captive. In this tremendous blow to the XXXI Battalion, they lose 8 Officers (including Maggiore Caprini) and 190 men killed, captured or missing. The Battalion, once clear of the front, is reorganised. Casualties to both the 1st "Giaguaro" and 2nd "Lupo" companies leads them to being combined. The Battalion consisting now of only the 1st, 7th and 8th companies. From November 19, 1941 until mid January 1942 the Guastatori of the XXXII Battalion were located on the Mameli crossroads set up in roadblock to stop the infiltration of British motorised columns. On January 21 Rommel once again decides to go on the offensive, his aim to catch the British while still reorganising after their last offensive. On January 23 the XXXII Battalion take part in the reconquest of Bengasi, with the city finally falling on February 1, 1942. The 3rd "Folgore" remain in Bengasi to help with the removal of barricades and obstacles from streets and the Slota-Mechili track, while the 4th "Uragano" company moved to positions around El Mechili in support of the 9th Bersaglieri Regiment. In mid May the XXXII Battalion was attached to the XXI Corpo d’Armata. Once again the Guastatori were to lead the attacking units through the enemy mines and obstacles, clearing paths when needed. 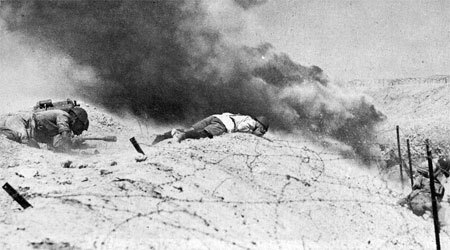 With the fall of Bir Hacheim on June 11 the Allied army withdrew from their Gazala positions. 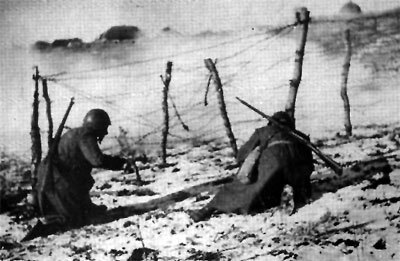 On June 18 the 1st Platoon, of 3rd "Folgore" Company attacked Point 179. 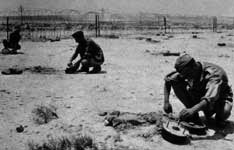 It was held by South African troops and had to be cleared to open the road from Tobruk for Axis troops to continue east. The Guastatori storm the position and succeed in pushing the South Africans out. 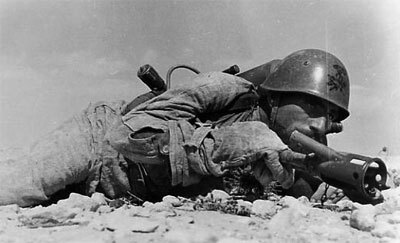 The 3rd "Folgore" Company remained with the troops investing Tobruk and the fortress finally fell on June 21. A wide variety of equipment and provisions were captured with the fortress and the German and Italian troops put these to good use as they pursue the retreating 8th Army toward Egypt. As a result of the captured British vehicles the XXXII Battalion became fully motorised and participated in the pursuit of the 8th Army. 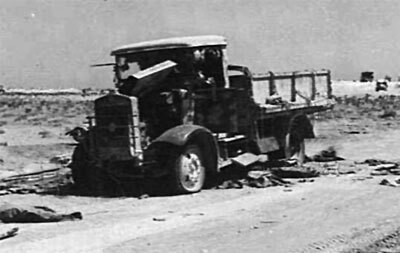 The 4th "Uragano" Company pursued as far as the defences around Marsa Matruh, where they cleared a path though minefields allowing the Axis pursuers to punch through the rearguard of the 8th Army, pushing them back to positions at El Alamein. On July 1, 1942 the XXXII Battalion reached the British forward defences near the Rahman track and take part in the preparations of positions opposite the El Alamein line. During May 1942 the XXXI Battalion also took part in the fighting to retake ground lost earlier in the year. The Battalion found itself in the front line south of Tobruk. The 7th "Tigre" Company was attached to Ariete Division and the 8th "Leone" Company worked with the Trieste Division, while 1st "Giaguaro" Company remained in reserve. On the night of June 20 both companies approached the enemy positions from the south-east and take up positions ready for the attack at dawn. Their attack was launched in the morning and they fought through artillery and machine-gun fire, obstacles and minefields and clear the way for the assault troops of the Ariete and Trieste. Further into the positions the Guastatori once again have to knock out concrete fortifications with explosives and well-conducted assaults with grenades and flamethrowers. All three fortified positions in front of their path were quickly neutralised, clearing the way for the Bersaglieri. Even the Battalion Chaplain, Father Luciano Usay, took part in the assault. On June 21 Tobruk Falls, and the Battalion enjoys the spoils of war, and gains captured British equipment. Like the XXXII battalion they become motorised. From June 21 they join the pursuit of the retreating 8th Army. 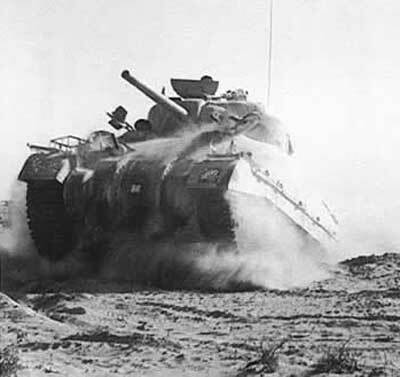 Both Battalions took part on the attack on El Alamein. Of the XXXI Battalion half of the 7th "Tigre" Company was attached to the Bologna Division, the 1st "Giaguaro" Company was assigned to the Trento Division, while the other half of the 7th "Tigre" Company and the 8th "Leone" Company remained in reserve. The XXXII Battalion’s two companies remained together to fight as a unit during the battle. 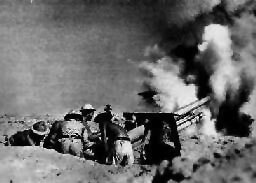 On July 3 the XXXII Battalion took part in the attacks on the El Alamein positions, during which they came under intensive artillery fire. The fighting degrades into battling from crater to crater. During the night US Bombers made the attack untenable and the Guastatori returned to their starting positions. Many Guastatori remained wounded on the battlefield and Battalion Chaplain Don Matrone commandeers a SPA 38 truck to retrieve the wounded. After initial fire from the British artillery they soon realised what he was doing and halted their fire. On July 11 two British Sherman tanks supported by motorised infantry attacked the XXXII Battalion’s positions. The attack was halted by the thin minefield laid down by the Guastatori to protect their position and nearby German Artillery. The Guastatori then counterattacked the tanks with explosives, immobilise them, and capture the crews. On the night of July 16/17 Australians, supported by Shermans, assaulted the 7th Bersaglieri Regiment to the left of the XXXII Battalion of Guastatori. The Australians pushed back the Bersaglieri and exposed the flank of the Guastatori. At dawn the British forces turned their attention on the Guastatori and despite determined defence they were cut down in large numbers. Little support came from friendly artillery and the positions were overrun. The British attack was in turn stopped by the reserves from the Corps and the position was retaken later. The XXXII Battalion ceased to exist as a fighting unit after the attack, and on August 22 the 72 survivors were incorporated into the XXXI Battalion of Guastatori. From August 16 the Battalion, now attached to the X Corpo d’Armata, was engaged in the preparing of the Axis defences at El Alamein, laying mines, emplacing defensive fortifications and obstacles. Most of the work was done at night. Though disappointed at being given such a basic engineering task they endeavour to complete the job to the best of their abilities. During this time they were reinforced from Italy with men from the 5th Engineer Regiment, boosting the force up to 610 men. On the night of August 29/30 the 1st "Giaguaro" and 7th "Tigre" (XXXI Battalion) usde explosives to clear a path through minefields and assaulted British fortifications with satchel charges and flamethrowers capturing 50 prisoners. On August 31 the XXXI battalion was withdrawn from the lines. On October 23 the anticipated attack of the British 8th Army began. The battle opened with a devastating barrage from both artillery and aircraft. The XXXI Battalion were attached to the Folgore Parachute Division for the battle. While the Folgore Paras defend tenaciously, all three of the Guastatori companies were engaged in deepening the mines in front of the division’s positions, laying them under heavy fire. They were soon called on to add their wait to the defensive positions, taking up rifle, machine-gun and mortar to fight off the British attacks. By November, despite the stubborn defence of the Forgore Division, the British smashed the line to the north and circled around on the static Axis positions. On November 2 the order was given to withdraw and the Guastatori pile aboard 13 overloaded trucks. With some walking and others aboard the trucks they head away from the British. Equipment had to be destroyed, as it couldn’t be carried in the trucks. On November 3 they then head north for the coast where they were joined by 511 others from various units travelling on foot. Ahead on the track they were following they sighted some British Armoured Cars and turned westwards and head cross-country. On November 5 they encountered another British Armoured Car Patrol who quickly catch up to the tail of the column and captured the 8th "Leone" Company and one platoon of the 1st "Giaguaro" company before they can fire a shot. Maggiore Paolo Caccia Dominioni, commander of the XXXI Battalion, was on his way to inspect the tail at the time and narrowly missed capture himself. The remainder of the Column headed northwest and on November 6 finally reached the coast. By the 8th they have reached Tobruk. The Battalion has been reduced to 321 men. On November 17 they arrived at Sidi el Azar. The Last two companies, 1st "Giaguaro" and 7th "Tigre”, continued to fight in Tunisia. 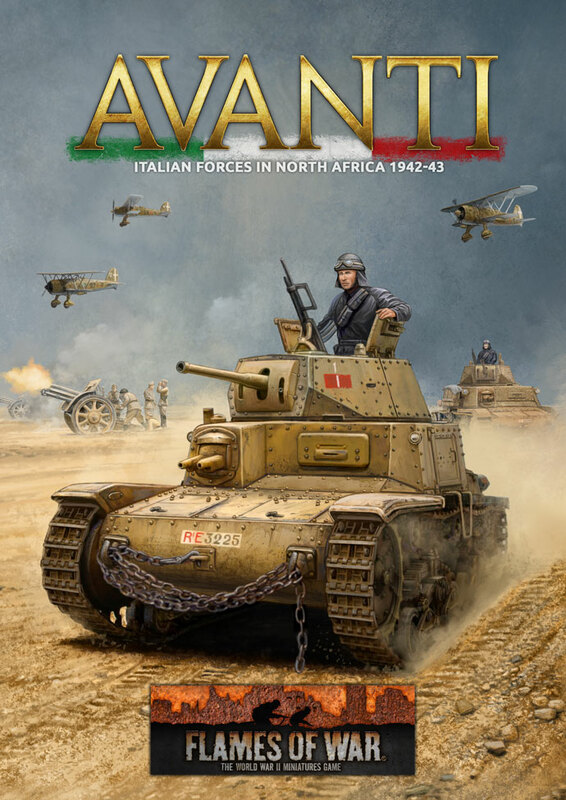 In March 1943 they were attached to Pistoia and Spezia Divisions. The Axis forces were pushed slowly back towards Tunis and the last of the Guastatori of the XXXI battalion were finally overrun at Enfidaville.